"This is truly a special year for FIFA"
This year is also the biggest season yet for FIFA Ultimate Team™, introducing new Squad Building Challenges and a new way to compete via FUT Champions*. Squad Building Challenges ask fans to complete special themed challenges such as teams composed of players from the same nation or league. Completing squads will reward players with in-game rewards, and additional challenges will be added throughout the season. FUT Champions allow players to compete for a chance to qualify in the Weekend League, as well as monthly leaderboards**. Higher placement leads to bigger in-game rewards, and consistent eligible top-performers may have the opportunity to compete*** in the FIFA Interactive World Cup and the EA SPORTS FIFA 17 Ultimate Team Championship Series****. 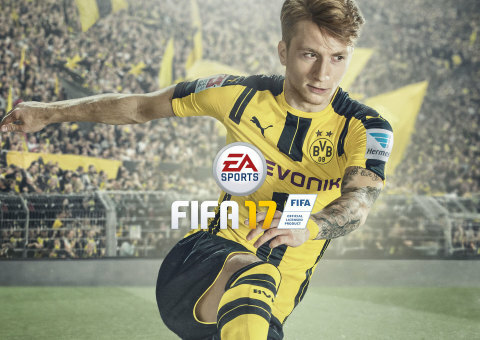 In gameplay, FIFA 17 delivers complete innovation in the way players think and move, physically interact with opponents and execute in attack. Significant new gameplay features including Set Piece Rewrite, Physical Play Overhaul, and Active Intelligence System will put fans in complete control to own every moment on the pitch. 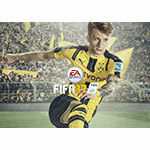 Fans can learn more about new gameplay features of FIFA 17 by visiting FIFA 17’s website, and becoming an EA SPORTS FIFA Insider (http://easports.com/fifa). Fans can also join the EA SPORTS FIFA community on http://www.facebook.com/easportsfifa and follow us on Twitter @easportsfifa and Instagram. The game is rated E for Everyone by the ESRB. FIFA 17 is developed by EA Vancouver and EA Romania and is available now worldwide on Origin™ for PC, Xbox One, PlayStation 4, Xbox 360 and PlayStation 3. *FROSTBITE GAME ENGINE TECHNOLOGY, THE JOURNEY AND FUT CHAMPIONS ARE AVAILABLE ON XBOX ONE, PLAYSTATION 4 AND PC PLATFORM VERSIONS ONLY. **INTERNET CONNECTION AND EA ACCOUNT REQUIRED TO PLAY. MUST BE 13+ TO CREATE AN ACCOUNT. ****RESIDENCE IN ELIGIBLE COUNTRIES REQUIRED. FINAL TERMS AND STRUCTURE SUBJECT TO CHANGE.